No lesson. 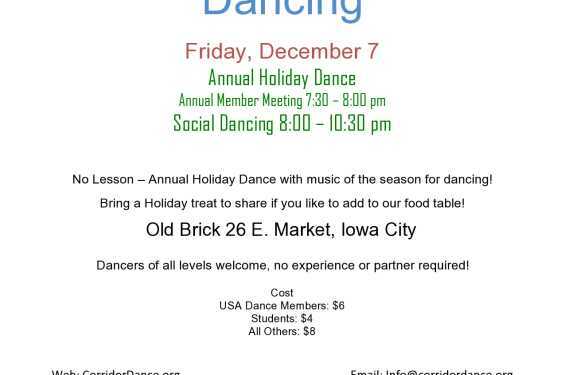 Annual Holiday Dance with the music of the season for dancing! Bring a holiday treat to share! 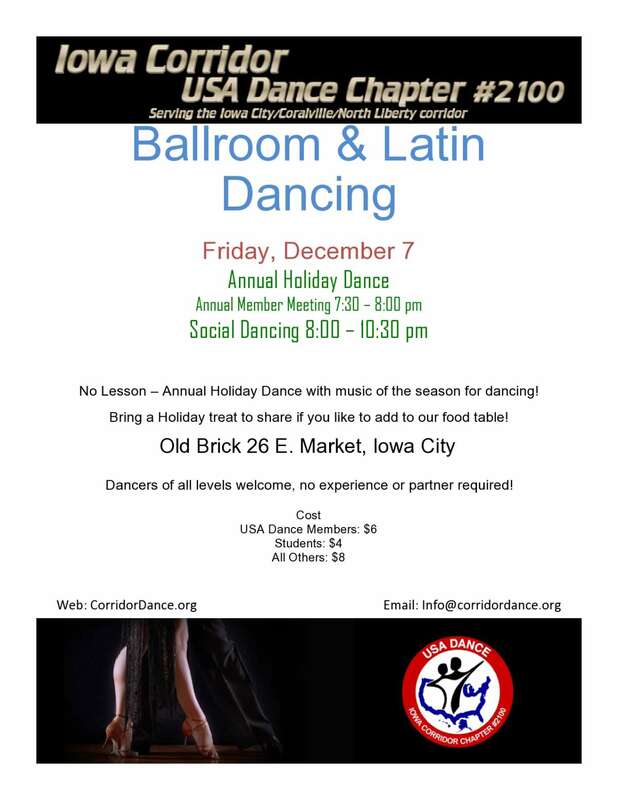 Dancers of all levels welcome. No experience or partners required!